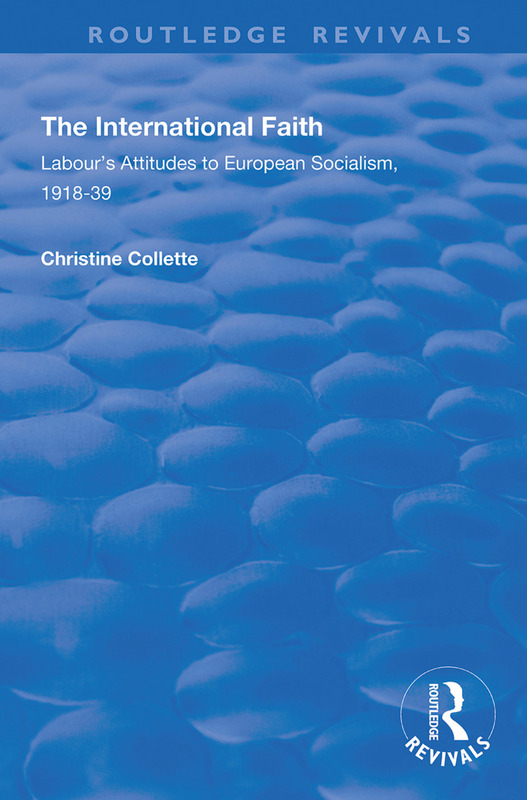 First published in 1998, illuminating the principles and practices which impelled British Labour’s international attitudes, this book focuses on relationships between social democratic and communist organisations in the troubled scene of Europe between the wars. Peace and disarmament were the first priorities, giving way to the fight against fascism after 1933; the Spanish Civil War was the watershed when disarmament ceased to be a tenable option. Against this background, contacts made with the Labour and Socialist International and the International Federation of Trades Unions are considered and the distinctive approaches of women and young people are discussed. The history of these formal organisations is balanced by an account of the wide-ranging contacts of the broad Labour Movement in fields such as sport, education, Esperanto, music and art. Its protagonists’ belief in international socialism is seen to be a faith which survived fascism and war, and continued to give hope for the future. This book will be of interest to students of Labour history and politics, as well as international and European studies.